On Thursday, July 20th, my family and I made the 5 hour long drive to our cabins up north (“up north” is northern Wisconsin, for those who don’t know). 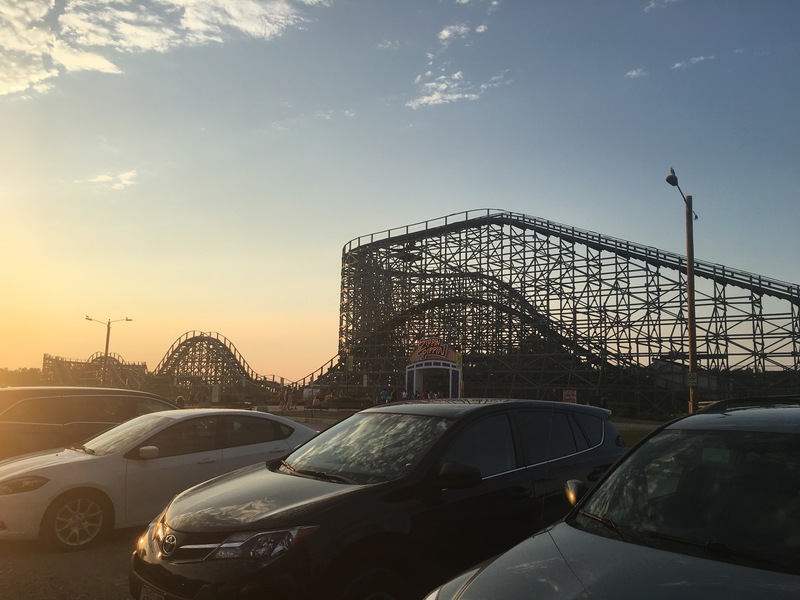 Along the way, we stopped at the small lakeside amusement park in Green Bay known as Bay Beach, which is home to an awesome wooden coaster named Zippin Pippin. For whatever reason we had never actually visited this park before, even though we’ve done the same drive past it half a million times. Luckily, we had some extra time on our hands, and managed to pop into the park for about a half hour before it closed. 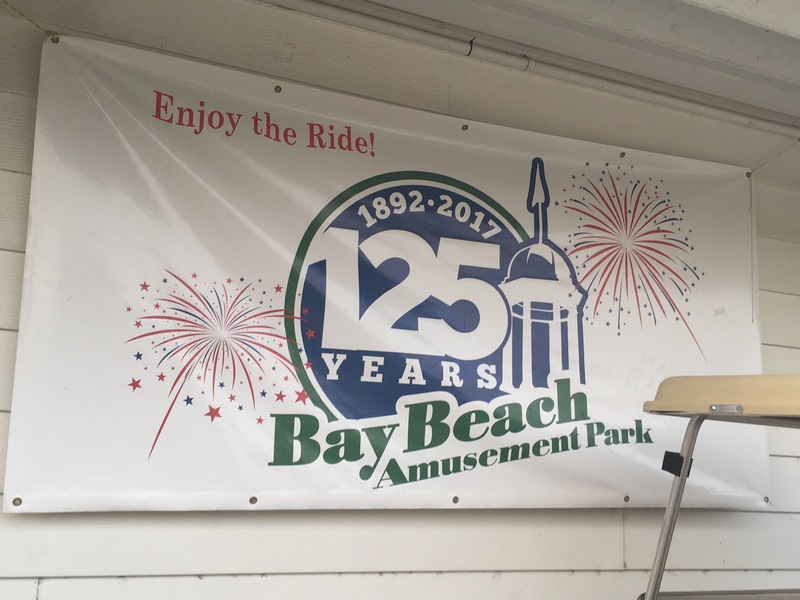 The park is also celebrating 125 years of operation. Very exciting! 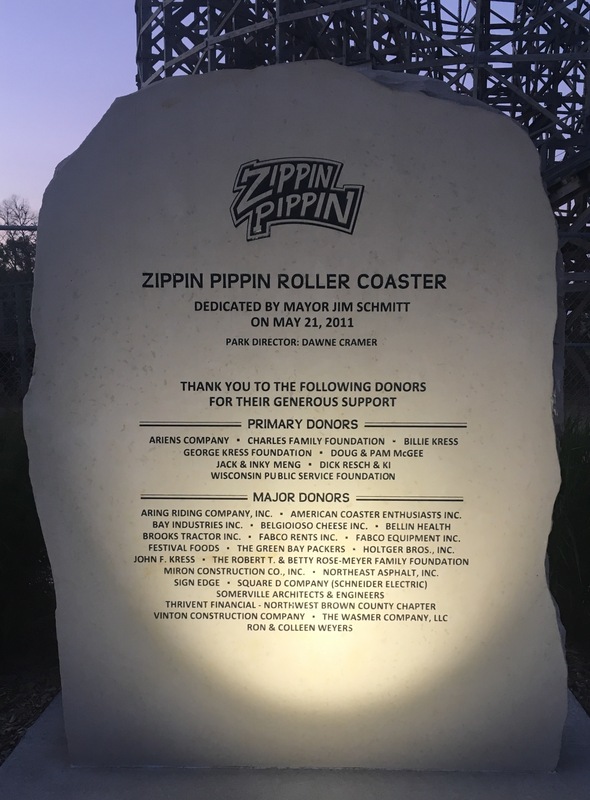 Our main reason for being there was, of course, to ride the Zippin Pippin. We did have to walk through the rest of the park to get tickets though, so I was able to get some pictures of the other rides they had. 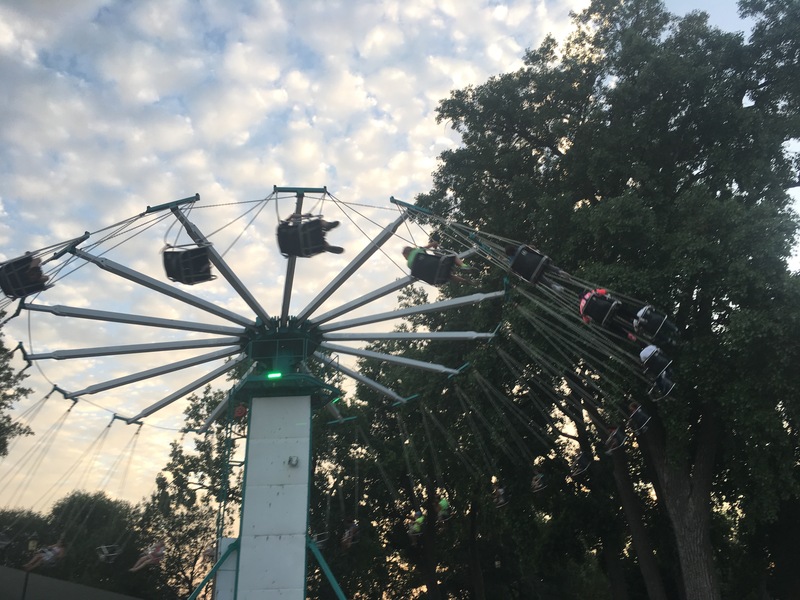 And what’s a nice lakeside park without a classic Ferris Wheel? Group shot from the Ferris Wheel and Yo-Yo super hero team up movie coming out 2018. Yo-Yo’s little brother, the Chairplane. A miniature drop tower named Bay Beast. Love these things! The park’s main entrance features a nice café building…and…a creepy Miller Park Racing Sausage staring at you through the window…yay. After buying tickets (enough to ride twice), we walked to the entrance of the coaster. There was practically no line, so we were in the station in just a few minutes. Operations were on the slower end, but for only having 3 or 4 people running the thing, I’d say they did a pretty good job! The Zippin Pippin entrance sign is actually one of my favorites. Something about the old school lights and bright colors really stands out! 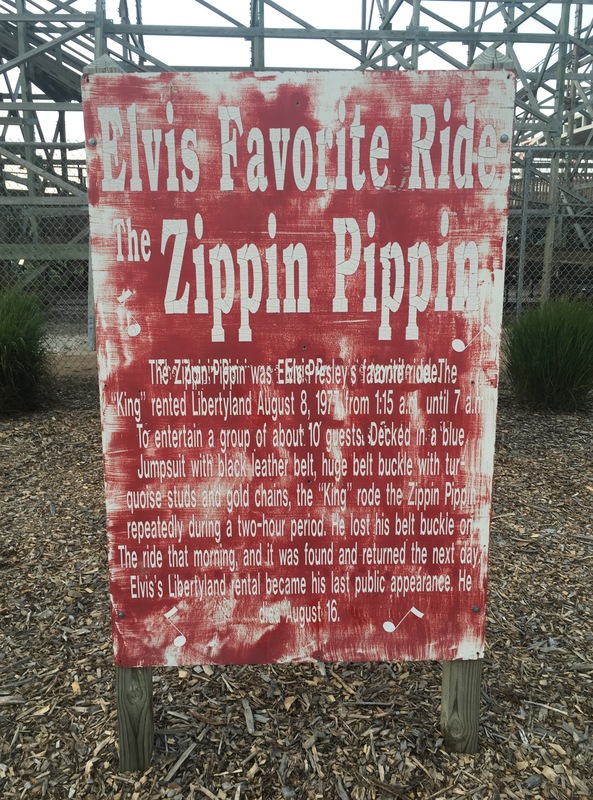 Another fun fact about Zippin Pippin is it was actually Elvis Presley’s favorite coaster! As for the coaster, we rode once in the front and once near the back. I must say, for being on the smaller side, Zippin Pippin sure packs a punch! I’ll make a full review eventually, but for now here are some main points. First off, this is definitely a back row ride. 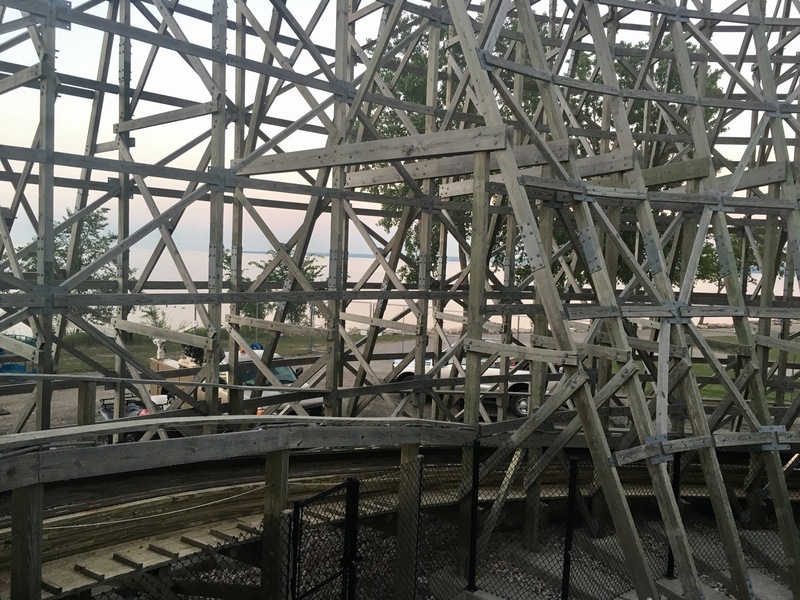 Sure, the front is fun, but sitting towards the back gives you a crazy amount of airtime. You get yanked over the first drop, and fly over the smaller hills to get tons of ejector airtime. 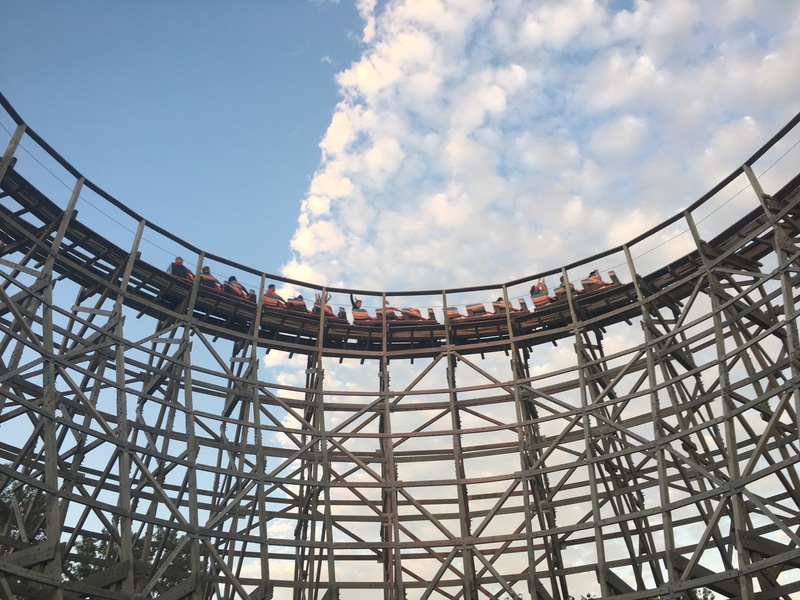 Second, the coaster is overall pretty smooth for a wooden coaster. It has its rough moments, but it’s definitely not that bad at all. 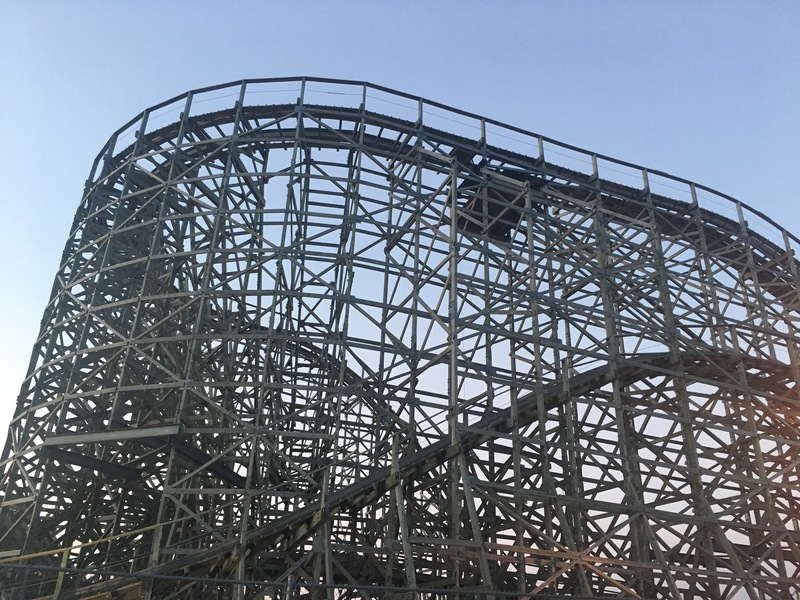 I think the only thing a coaster of this size is missing is a final helix, instead of just going through a few hills before hitting the break run. 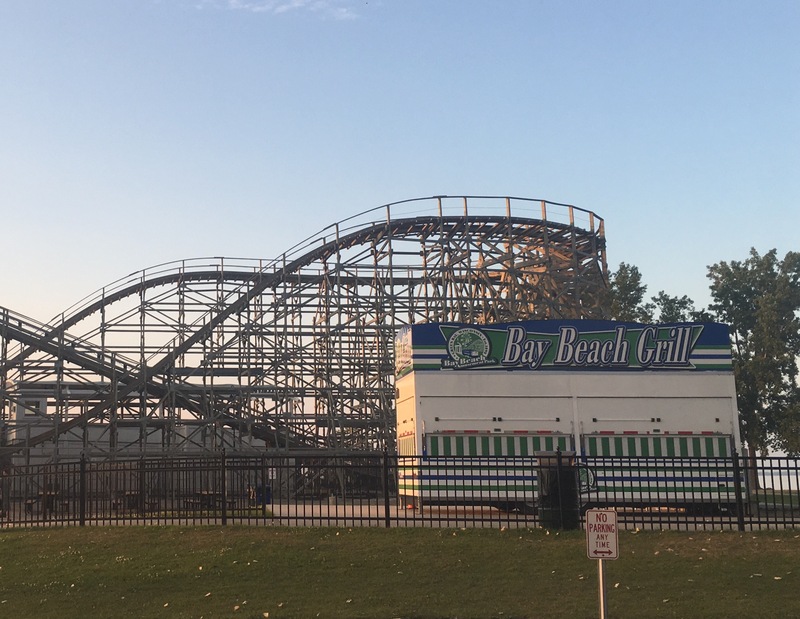 Other than that, I’d say that Bay Beach certainly has an awesome coaster on their hands! Literally riding off into the sunset! That was pretty much it for our short trip to Bay Beach. 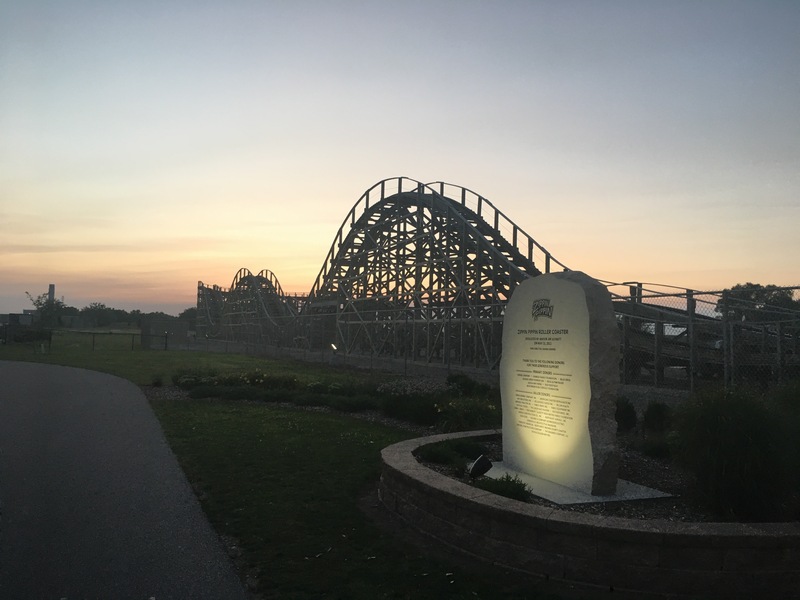 Overall, it’s a charming lakeside park, and has a great woodie for enthusiasts, first time coaster riders, and everyone in between. Hopefully we’ll stop by again soon, so we can spend more time checking out everything else the park has to offer! Until then, I’ll leave you with a few extra pictures from the trip. Want to stay up to date with our latest theme park plans, videos, trip reports, and more? Be sure to follow us on here, Twitter, and Instagram @Limitless_Park!